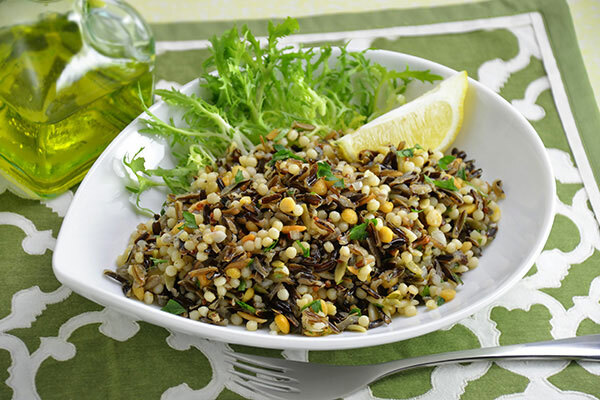 Let;s get wild with rice! 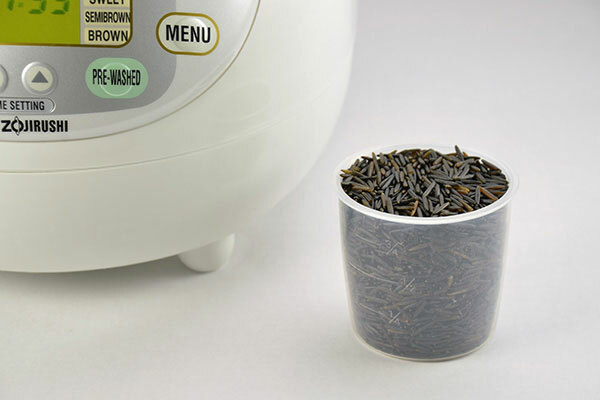 1Measure rice accurately using the measuring cup that came with your rice cooker. Rinse quickly once, drain and place in the inner cooking pan. 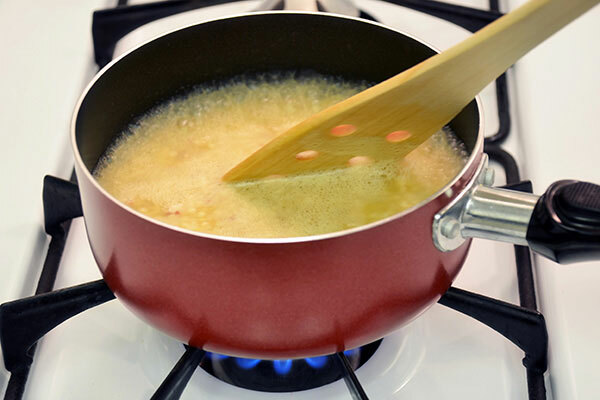 Measure the water using the same measuring cup, and add to the inner cooking pan. Cook the rice using the “Brown Rice” setting. 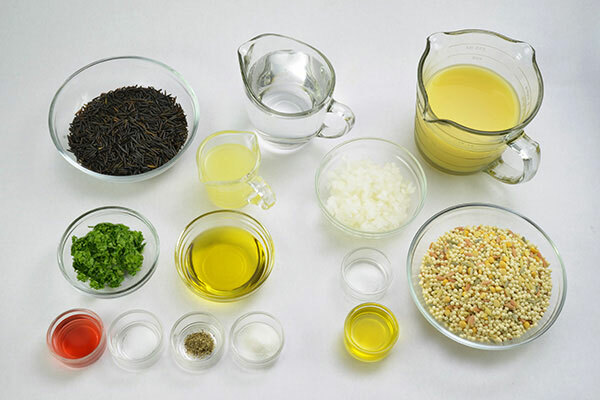 2While rice cooks, bring chicken broth to a boil in a skillet over medium high heat. Add 1/2 tsp. salt, blended grains and stir, bringing mixture back to a boil. Reduce heat, cover, and simmer for 10 minutes. 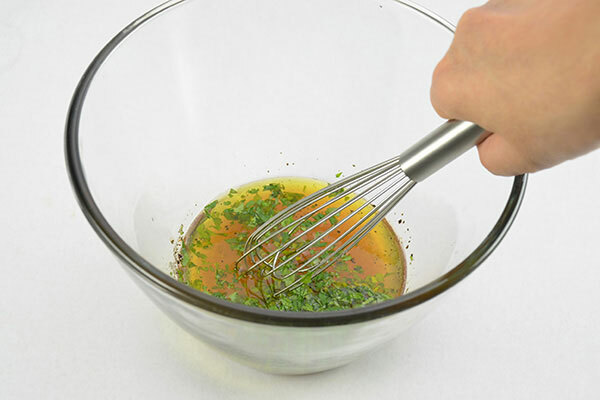 3Whisk together the red wine vinegar, lemon juice, sugar, salt, pepper, olive oil and parsley in a large bowl. 4Add minced onion and 1 Tbsp. 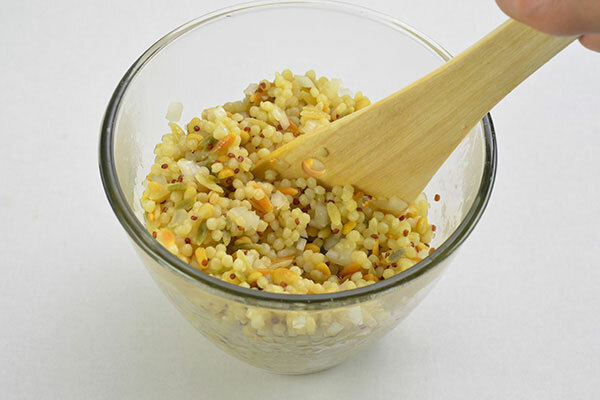 olive oil to the cooked grains, mix and set aside. 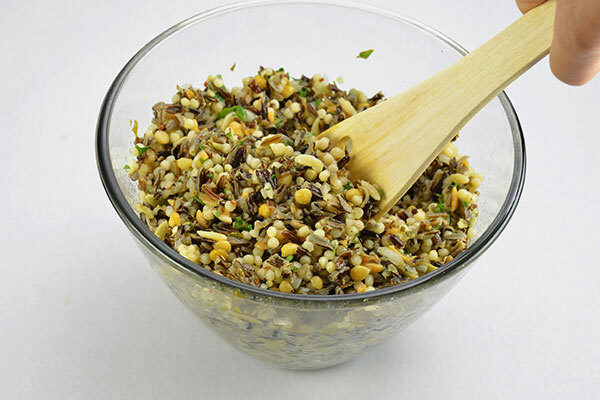 5When the wild rice has finished cooking, combine with cooked grains and toss with dressing (from step #4). 6Serve at room temperature or chilled.